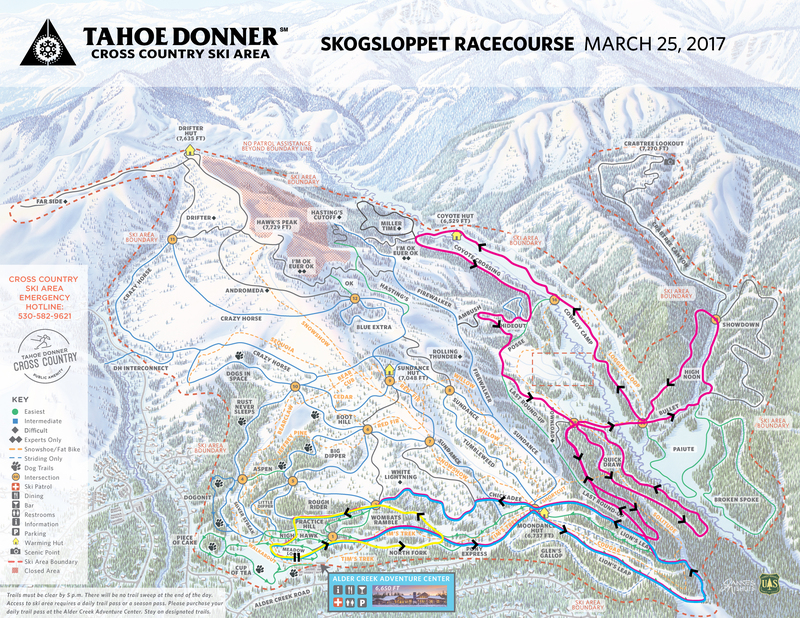 Challenge yourself and compete in Tahoe Donner's annual race that supports our local schools' Nordic race teams. Olof Carmel started the race in 1994 when he was the head Nordic ski coach for Truckee High School as a way to raise money to buy ski equipment for the kids, figuring that every nordic center should have a race called a "loppet." Skogsloppet means "race through the forest" in Swedish and that's exactly what racers will be doing! The popular long race (16km course) heads down into, and around the Euer Valley, challenging skiers to race each other on beginner and intermediate terrain. 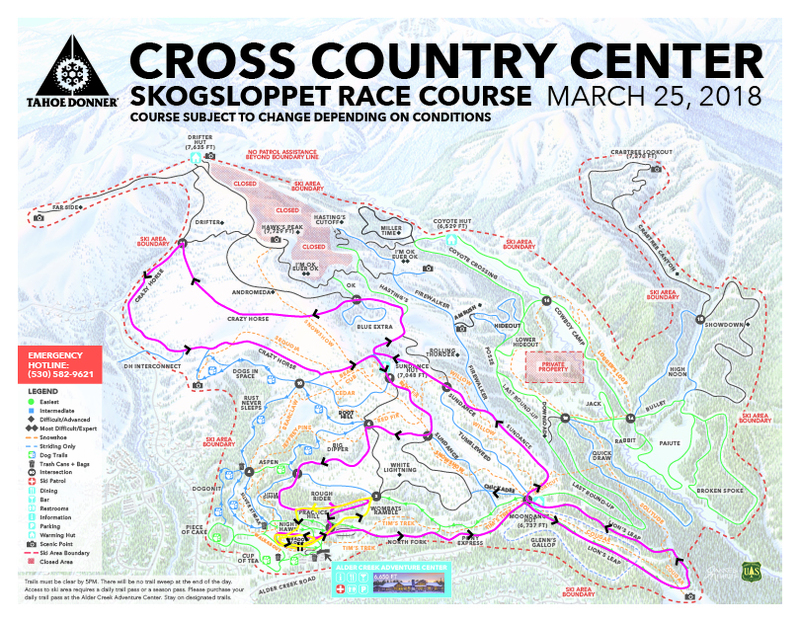 A shorter (3km) course for juniors, or less experienced skiers, loops out around Lions Leap and back. All participants are eligible for some great spot prizes. For the youngest skiers in the family, a fun event is held at noon on a short course close to the center. Medals for all participants. If racing isn't your thing but you want to be involved, think about volunteering or donating to keep our local kids skiing. A treasure hunt inspired event where you study a map to choose what you think is the fastest way to get to checkpoints set up out on the trails. Each checkpoint has a different shaped hole punch for your trail pass to prove you were there. Compare your finish time and routes taken with others at the bar afterwards. The more checkpoints visited, the more chance you have of winning some great spot prizes. Prove you have been to each checkpoint by punching with the unique punches on a trail pass. This event and tour through Euer Valley has been a spring celebration and tradition for over 30 years. After the event, participants gather on the Alder Creek Adventure Center patio overlooking the meadow for lunch and music. All events are subject to change due to conditions. Header photo by Jared Manninen from 2019 Skogsloppet.